Actually, I just wanted to talk to her, period. 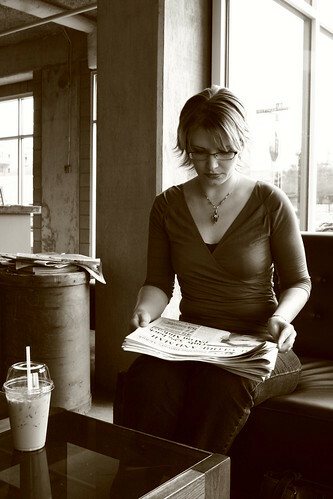 If you aren’t familiar with Jessica Westhead, she’s as sweet and down-to-earth as they come. And funny! 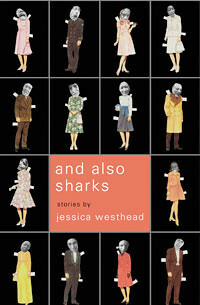 And Also Sharks is hilarious – dark, and sometimes crushingly sad – but mixed in with all of that, funny. On top of all of that, she’s also one of the founders behind the Year of the Short Story initiative, which we talk about below. There’s also some talk about a llama, but I’ll let you read that one yourself. There are a lot of links in this interview too – why don’t you kill a little time at your day job and check them all out, yeah? I’m perpetually intrigued by how stories we hear in the news, in our communities and from our friends weave their way into our own personal narratives. Once they’ve lodged themselves in our brains, these other people’s stories, I’m interested in what we do with them. Even the most horrible of stories can help us gain insight into ourselves and, for writers, they can spark the imagination. Betty Jane Hegerat has taken a very public story and transformed it into a personal one: part fiction, part memoir. 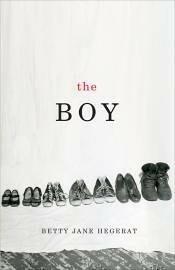 The Boy, which was recently released by Oolichan Books, is about the real life mass murder of a couple and their 5 children in a small Alberta town in 1959. The murderer? The father’s son from his first marriage. The boy. I haven’t read it yet, but it sounds absolutely fascinating. Betty Jane has written 3 previous books and she also teaches creative writing. I learned about her first through Susan Toy and when I found out she was doing a blog tour of sorts for the book, I jumped at the opportunity to talk to her about her creative process. (And no, there was no Canada Council for the Arts grant money behind it.) Betty Jane agreed to meet with me to chat about The Boy on a bright Sunday morning. I’d woken up earlier than expected, sent off a quick email saying I was online whenever she was ready, and soon enough we started chatting, the morning light streaming into my work space at my kitchen table. Despite the sunshine, our conversation veered to darker territory: obsession. I wanted to know how the Cook murders became the basis for Betty Jane’s latest work, and I was curious about how her own sons reacted to the fact that their mother was writing about this particular story. Betty Jane has also posted an audio excerpt from the book that touches on some of the topics we chatted about. She has some book launches coming up in Alberta over the next few weeks – be sure to see her if you’re in town. Thank you, Betty! I’m glad everyone has been enjoying this series of uninterviews. As someone who has devoted an embarrassing amount of hours to online chatting (hello former IRC users! ), it’s nice to put those chatty skills to good use. I have more coming up in the pipeline too. Recently Darcie edited another chat we did a few weeks ago and posted it to her site. Read it to find out how I deal with people asking me what my stories “mean”. Thanks, Darcie! It took me years and years to realize a very simple thing, which is that when you write fiction you’re raising questions, and a lot of people think you’re playing a little game with them and that actually you know the answers to the questions. They read your question. They don’t know how to answer correctly. And they think that if they could only meet you personally and look into your eyes, you could give them answers. There was a reason why I named my first zine “melt the snow” back in high school. I’m sure part of it is genetic – both my parents grew up in hot climates. Then I moved to Montreal where winters are snowier and colder and longer than those in Toronto, and instead of hating every minute of it, I realized that it wasn’t so bad. Winter is good for hunkering down and writing lots of words and cooking many pots of soup. Walking through a snowstorm when you’re bundled up in a parka and listening to music? Lovely. But I’ve never graduated to the levels of those who make the most out of winter by skiing or snowboarding. I’ve tried a few times; I fell a lot. 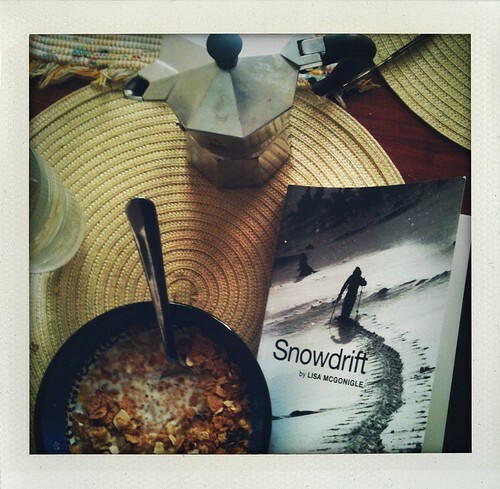 A few weeks ago a copy of Lisa McGonigle’s Snowdrift came in the mail. It’s her memoir of trading a full scholarship to Oxford for the ski bum life in the Kootenays in British Columbia. While I was reading her descriptions of skiing and snowboarding, I got it. Even her descriptions of the injuries sustained on the hill sound purposeful or at least hilarious. That’s the thing about this book: it doesn’t matter what your feelings are about skiing or snow, Lisa’s voice carries the book through. It originated from a series of emails she sent to her friends, so it has a comfy, conversational tone to it. She also doesn’t just talk about BC – there are forays to New Zealand, Quebec, back to Ireland. And she covers hiking, running and baking too. Snowdrift was published by Oolichan Books. Lisa is currently completing her PhD in New Zealand, but we coordinated our schedules to talk on Gchat about the book. It also happened to be St. Patrick’s Day, which is appropriate considering that she’s Irish. Our conversation focused on some of the quirks particular to publishing a memoir and, because I thought it was interesting, her current school work. Lisa’s an overall interesting person, and I think you get a sense of that through this exchange. The first time Darcie and I met for a little chat, it was late August. I was in Athens, she was in Kelowna, and our manuscripts were still electronic files with our publishers. In the subsequent months they were turned into real books. There were launches, there were some reviews, there were nerves and gratitude, but mostly life continued on the same as it was before. Darcie and I kept meaning to chat again and we finally coordinated our schedules. It was a Wednesday night, me in Montreal, she at home in Kelowna, and we had a fun little talk about our thoughts and feelings. Let me tell you things I’ve learned about Darcie: she’s humble, she works hard, and she frets. She was telling me about a possible review in the Globe & Mail, and how she was anxious about it, afraid it wouldn’t show up, despite being told otherwise. If we hung out in real life, I would probably tease her about this a bit more, how writerly her neuroses are. The Wednesday night chat was good, but the timing was off by exactly one day. On Thursday the Commonwealth Prize nominations came out, and there buried among Giller prize nominees was Darcie Friesen Hossack for Best First Book. That Globe & Mail review eventually came out too, and it’s so effusive and full of praise that it’s almost comical. Darcie, neuroses aside, had nothing to be worried about. Because of the nomination, I felt like our chat was unfinished, so we met up a few days later to discuss recent events. We’ll publish the Wednesday night chat at some point too, but I wanted to post this first while the excitement is still fresh. Talking to someone about good news is always fun and enthusiasm is the best kind of contagion. And, there’s just something fascinating about learning about the machinations behind Big Awards – most of us have no idea how they work and come together, so there’s a little of that in here too. Excuse the abundance of exclamation points, but dude, it’s exciting. After the slog of writing and publication, it feels good to talk about celebration for a bit. I’ve mentioned Darcie Friesen Hossack on this site before. We met a few years ago when we were both enrolled in the Humber School for Writers and have kept in touch since. Recently we’ve been talking more frequently. 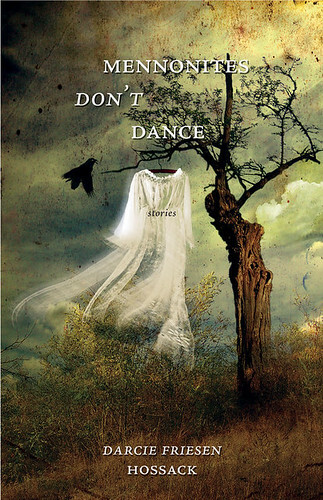 Her first book, Mennonites Don’t Dance, will be released by Thistledown Press on September 15 and Bats or Swallows will be out a month later. It’s been nice to compare stories and cheer each other on throughout the process. I’d prefer to talk over a few glasses of wine, but because Darcie lives in Kelowna and I’m currently in Athens, our chats take place virtually. A few days ago we overcame our 10 hour time difference to talk a little more formally about our books and so that I could ask Darcie some questions I’ve had about her background and how they relate to her stories. The conversation eventually turned into a discussion of roll kuken, sugared tomatoes and other Mennonite foods. This isn’t surprising considering that when Darcie isn’t writing fiction, she’s a food columnist. In fact, she recently featured the halva recipe I posted a few weeks ago in one of her columns. We’re going to reconvene in a few months to debrief our books’ respective releases or at least talk about fried chicken feet again. Thanks, Darcie! You can read more of Darcie’s thoughts at her blog or follow her on her Facebook page. In the meantime, pour yourself a cup of coffee or a glass of wine, and eavesdrop.